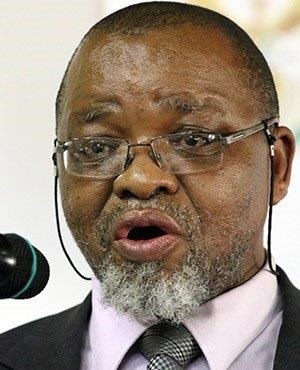 Southern African Faith Communities’ Environment Institute executive director Francesca de Gasparis has written to Minister of Mineral Resources Gwede Mantashe, demanding that he not conduct a site visit to Xolobeni on Wednesday. She said she feared the visit was an attempt by the minister to "override" a court ruling in November last year, which said the department must get complete formal approval from the Xolobeni community before granting mining rights in the area. The department released a statement on Monday in which it said the minister would meet the community on Wednesday "to discuss economic development prospects in the area". The area relies heavily on its tourism sector, which is supported by the natural dunes there. The dunes are likely to be compromised by mining operations. Companies looking to mine there have been accused of bypassing processes and holding secret meetings with the minister to allow mining to take place. In her letter to Mantashe, De Gasparis said there was a lack of transparency regarding individuals with vested interests in the mining area. She said community members have been pitted against each other over this matter as a result. "The newly formed youth group, and the idea of a referendum, are creating an atmosphere of conflict rather than cohesion, with the sole aim being to push through mining," De Gasparis said. De Gasparis dismissed any suggestion that licenses should be approved for mining on an assumption that the licensed company rehabilitate the area’s ecosystem after operations. "Nowhere in the world has a mined area been restored and rehabilitated to its former natural beauty or function. No matter how hard mines have tried, they have not been able to recreate healthy, intact ecosystems on land, shores and in the ocean in the surrounds of titanium mining," she wrote. Asked for comment, mineral resources spokesperson Ayanda Shezi said: "It is only proper that the Minister hears the views of the whole community, beyond just the Amadiba Crisis Committee, before a final way forward is determined. "The Xolobeni matter has been on the table for the past eight years, and it is the Minister and department’s position that the matter must be settled once and for all, having taken the views of the community into consideration."